I have more to post, but not today. 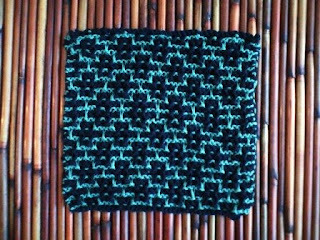 Here is the square which I made for the Afghan, but I also made a washcloth as well. I wanted to get rid of the corn yarn, (The green in the picture is corn), there was a design change from the book as I got distracted and did not realize the mistake until it was done. I decided to make it the same on the next one and thus two of the same. I will continue the series of the afghan as I am able to . Thanks for stopping by.